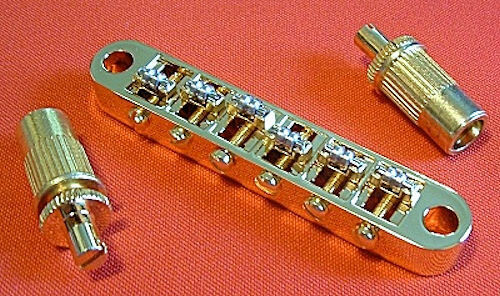 This Tuneomatic style bridge is modeled after the famous bridge that Gibson put out several years ago and still uses today. 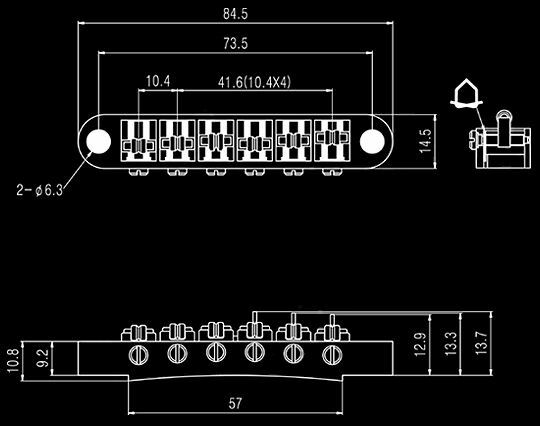 It features modern designs including Roller Saddles with individual saddle retaining springs (not a wire or bar that lays across). This is the perfect replacement tailpiece for your Les Paul, SG, Flying V, Explorer, or just about any guitar that has this setup (please be sure to check the specs on your particular guitar as there are many variations of this style bridge). 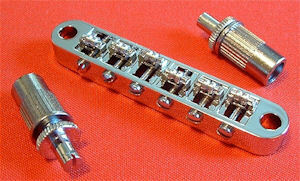 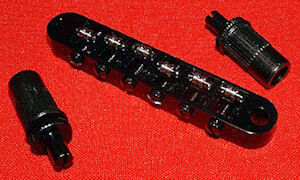 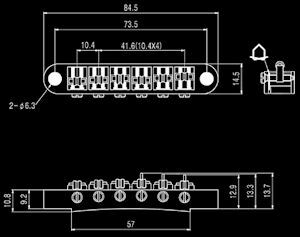 Also included are the height adjustment thumbwheel posts, and anchors so you can mount it into the body of your guitar.